TopConsumerReviews.com has awarded their best 5-star rating to Hobbytron, a leading online retailer of remote control toys. Shopping for a remote control toy can be a daunting experience... We’re pleased to give Hobbytron our highest ranking among online retailers of remote control toys. 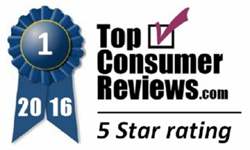 TopConsumerReviews.com recently awarded their highest five-star rating to Hobbytron, an industry leader in online remote control toy sales. From remote control drones to cars, helicopters, and planes, Hobbytron has been satisfying customers looking for all things RC for more than a decade. Shoppers can customize their search using the easy-to-navigate website, which allows user to search by RC type, power source (for example gas or electric), price, and brand name. Hobbytron’s wide selection includes popular brands like Kyosho, Phoenix, and Syma, and offers a generous return policy of 30 days. To find out more about Hobbytron and other online retailers of remote control toys, including reviews and comparison rankings, please visit the Remote Control Toys category of TopConsumerReviews.com at http://www.topconsumerreviews.com/remote-control-toys/. Hobbytron is one of the industry’s best and largest suppliers of the hottest, innovative toys and hobby supplies in the world, with an emphasis in remote-control cars, RC airplanes, RC helicopters and Airsoft guns. Hobbytron’s success has come in large part by establishing long-lasting and unique relationships with overseas manufacturers and distributors to place Hobbytron on the cutting edge of the toy and hobby buzz. TopConsumerReviews.com, LLC is a leading provider of independent reviews and rankings of hundreds of consumer products and services. From Remote Control Toys to Air Hockey Tables and Sporting Goods, TopConsumerReviews.com delivers in-depth product evaluations in order to make purchasing decisions easier.